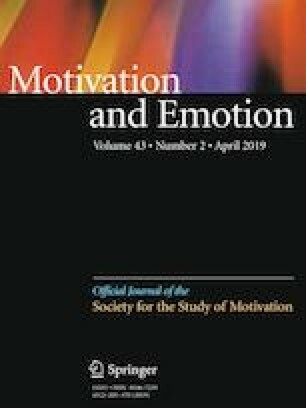 The present study aimed to test the goal contents theory (Ryan and Deci, Self-determination theory: Basic psychological needs in motivation, development, and wellness, Guildford, New York, 2017a) proposal that prioritizing intrinsic aspirations over extrinsic aspirations leads to enhanced well-being through greater satisfaction of basic psychological needs and more autonomous self-regulation. By pooling four prospective studies with an identical five-wave design, we evaluated the impact of aspirations on changes in need satisfaction, goal motivation, and well-being over a school year in a sample of over 1400 university students. Cross-lagged, structural equation modelling (SEM) analyses revealed that relative intrinsic aspirations at baseline predicted experiencing greater need satisfaction, increased autonomous goal motivation, and improved well-being over time. The discussion highlights the value of exploring dynamic relations among the central constructs in self-determination theory. Work on this manuscript was supported by a Canadian Institutes of Health Research Post-Doctoral Fellowship Award (201511MFE-358664-186305) to the first author, a grant by the Russian Academic Excellence Project (5-100) to the fourth author, as well as a Social Sciences and Humanities Research Council of Canada (435-2014-20463) and Fonds de Recherche du Québec-Société et Culture (2017-SE-196443) grant to the last author.